Charlton Mokua and Victor Shigholi will make their long-awaited debuts for Kabras Sugar when they visit Nondies on Saturday, January 20, 2018. Shigholi and Mokua joined Kabras from Top Fry Nakuru but they have not had a chance to represent the 2016 champions in the Kenya Cup. They are named in the matchday 23 that will be heading to Nairobi. Head Coach Charles Cardovillis names lock Messo Okello to come in for Hillary Odhiambo who is deployed at 8 to replace skipper Max Adaka who is ill. The only other change from the side that beat Kenya Harlequins since Ugandan international scrum-half Ivan Kirabo come in for Dominic Osino. “We are unbeaten in five and must use that to slow down their momentum. We expect them to come hard at us, and have prepared for just that,” Cardovillis told Raga House after naming the squad. 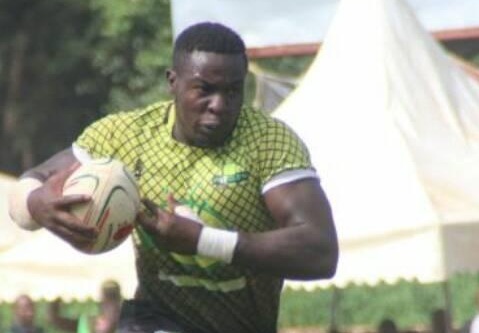 They face a Nondies side that has won two matches in a row, even though the matches were played in two different years, beating Mwamba and Strathmore Leos. “They have good players all around their team, and we will need to be wary of the threat they offer. We have chosen a squad that we believe is up to the task and bring home the win at the end of 80 minutes,” added Cardovillis. Joining Shigholi and Mokua on the bench is Geoffrey Shitambasi, Hosea Ngesa, Joseph Odero, Steve Oluoch, Jacob Okumba and Malika Habil. The match kicks off at 4pm at Jamhuri Showground off Ngong road.